A small squeeze of a lemon can lighten a heavy dish, cut through richness and add distinctive brightness to a dish. But too much lemon juice can make even the best dish bitter and sour. To fix this, you need to counteract the natural acids in lemon juice by adding a tiny amount of baking soda to the food to bring the pH level back to neutral. Lemon juice has the same acidity as mild vinegars, such as balsamic and red wine vinegars. It's the acidity that makes your lips pucker -- turning a dish too sour. 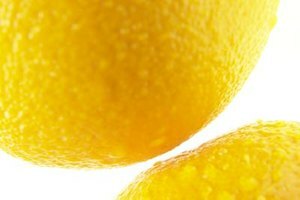 Because of the citrus oil in the fruit, it can also cause foods to taste bitter, especially if you are using the zest of the lemon as well as the juice. While it might seem like adding sugar is the way to rescue a dish with too much lemon juice, neutralizing the acid works much better. 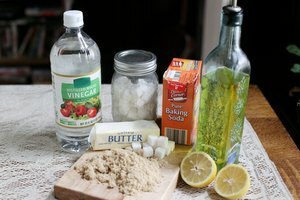 Sugar will only mask the bitterness and sourness with excess sweetness, but neutralizing the acid will return your dish to normal. Baking soda is a natural buffer, notes University of Wisconsin-Extension. 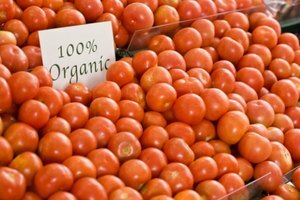 Buffers help keep a stable pH, making foods neither too acidic nor too alkaline. If you add only a little bit of baking soda to your too-lemony food, it will neutralize the acid. By bringing the pH level closer to neutral, your food will no longer taste sour or bitter. You need only a small amount of baking soda for a too-lemony dish. Roughly 1/4 teaspoon of baking soda for 1 cup of liquid should be enough. Too much baking soda can lead to a soapy taste, so use it sparingly. 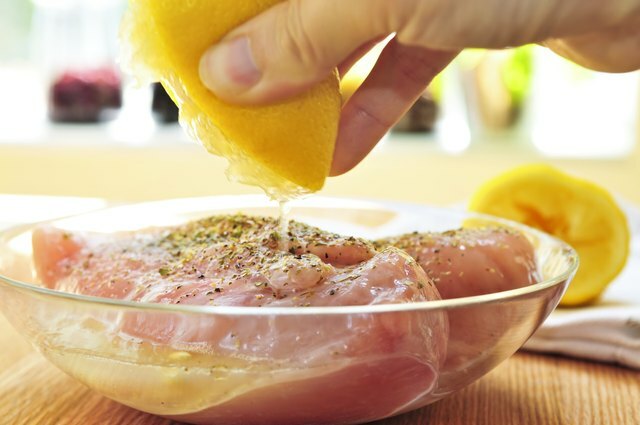 If possible, don’t add salt to your food until you have neutralized the excess acid from the lemon juice. Baking soda will add sodium to a dish, which can increase the saltiness of the food, so adding salt before neutralizing the acid can leave your dish too salty. To make sure you add the baking soda evenly, sift it over the food that needs to be neutralized. Start with less than a 1/4 teaspoon, stir in the soda after it is sifted in, and then do a taste test. When you first add in the baking soda, there will be some slight bubbling as the soda reacts to the acid in your food. Once the bubbles have stopped, stir or mix the food, and then taste it again. Add more baking soda as needed, but only a little at a time. 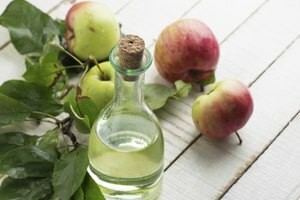 Chatelaine: Lemon Juice or Vinegar: Which is More Acidic? The Kitchn: Recipe Rescue: What to Do When Foods Are Too Acidic? Dr. Gourmet: Would Baking Soda Also Neutralize the Acid in Chili?